Conducting an interview using Skype has many advantages for an organisation: reducing costs and saving time, can enable a short notice when scheduling the interview and it’s also simply to use. Skype or other webcam chat technologies makes it easy for almost anyone to use but conducting a video job interview and being the facilitator requires a little more time spent on planning. As an interviewer, you have the luxury of conducting the interview anywhere you please and the responsibility of maintaining the professional standard for your company. Don't operate under the idea that executing a Skype interview it’s like a video chat with a friend. Just like a traditional interview, you set the standard and the pace for the dialogue. This could seem easy but if it’s done in an inappropriate way, it can lower the level of professionalism mainly because the pressure of a face-to-face interview is not present. Make sure you are very familiar with an on-line interview and comfortable enough to conduct it. You have to be very familiar with the technology you are using (just like you expect your prospective candidates to be as well). It is advisable to practice before and test out the programs with your colleagues in the same location you plan to carry out the actual interviews, whether it’s your first time using Skype or you have used it before. If there are complications during the interview due to technology problems, it doesn’t speak well about your preparedness, and your expertise as an interviewer. At the end, all the problems will reflect negatively on the company you represent. Surely the most notorious benefit of using Skype isthe elimination of the geographical barrier. But if you’re going to have an interview with a candidate that lives abroad, make sure to set an appropriate time for both of you and take notice of the different time zone when scheduling the interview. Having the option to record an interview is a great functionality that a webcam interview allow. This way you don't have to rely on your memory or notes to help you determine which candidates stood out. 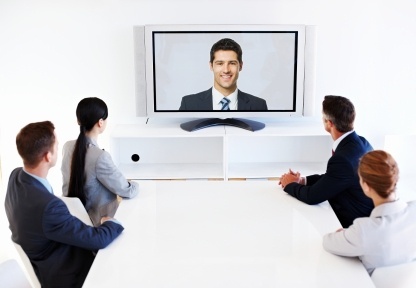 By recording the interview, you will be able to play back the interview to colleagues and clients for review. If you are going to record the interview ask the candidates permission before starting. 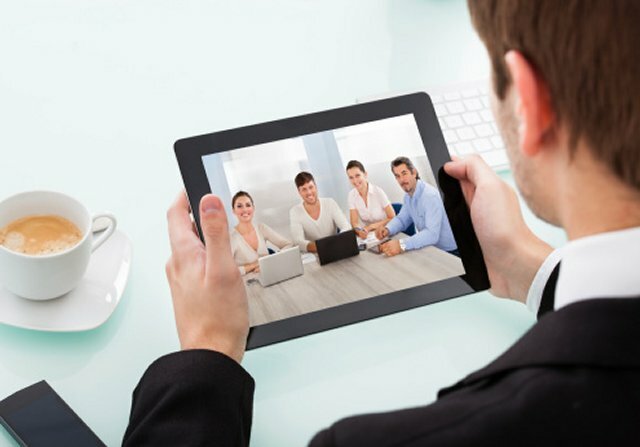 When conducting a webcam interview, make sure your connection to internet is secure and you have a solid broadband connection. And secondly, think about your location before starting your interview. Try to book a meeting room to avoid distractions and conduct the interview in a quiet place with proper lighting.